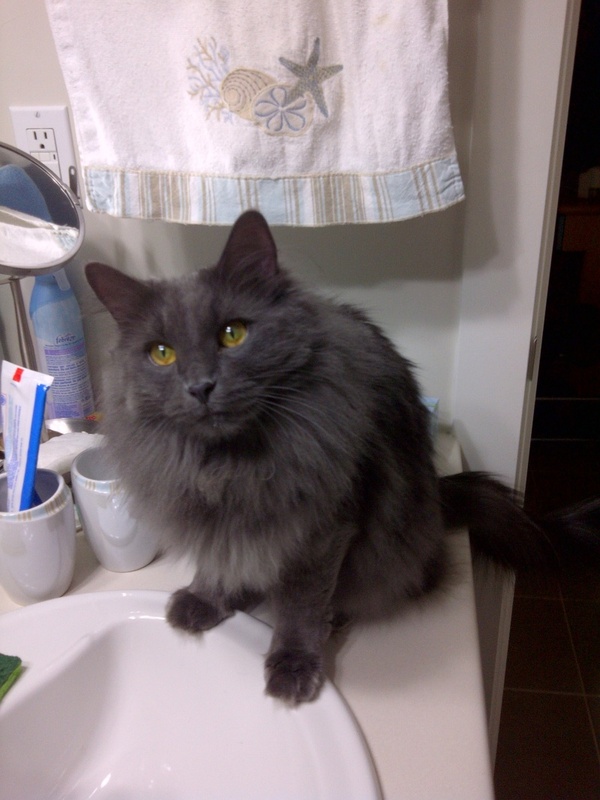 Like everyone else who owns a long haired grey cat and watched THAT episode of Cat 101, we're now convinced that our Pucky is a Nebelung. 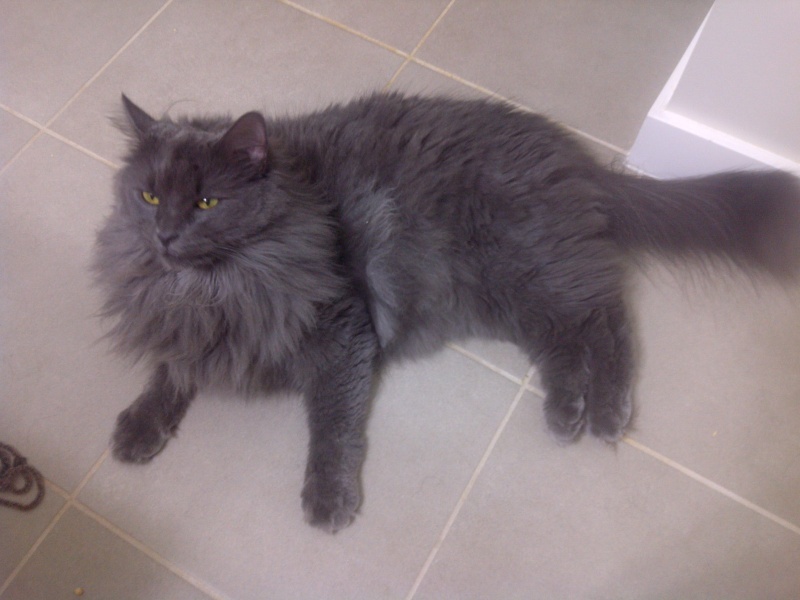 He is about 1 1/2yrs old and has a long blue-grey double coat tipped with silver, big bushy tail, tufts behind his ears, yellow-green eyes and a "foxy" pointy face. Re: Nebelung or no Nebelung? 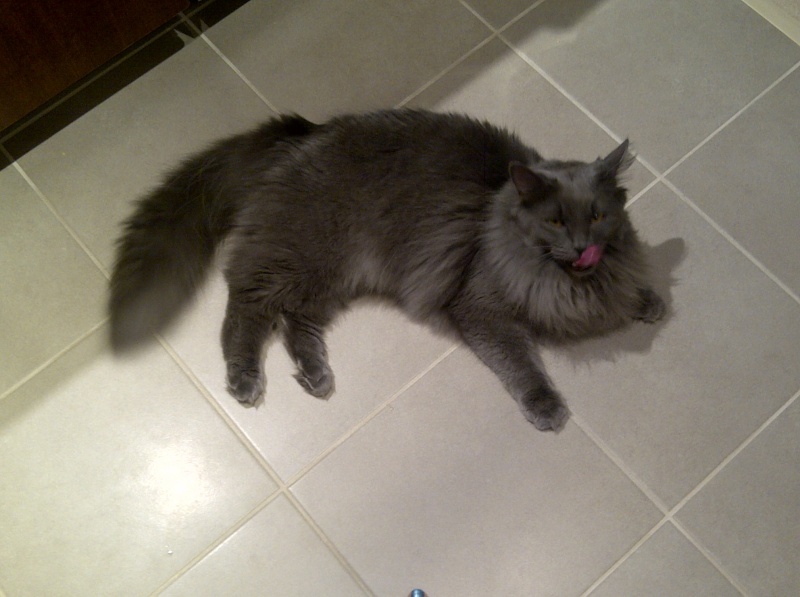 The Nebelung is very rare, so I can´t imagine that there are many real "maybe" Nebelungsout there,sorry. Whatever this boy is he is beautiful!! !